Before I start I would just like to highlight this particular article will follow a very different format from the others, for reasons that will become clear very quickly. Christmas morning 2010, I’d done all the Christmas Family obligations, as many as there are for a 23-year-old man-child. I got comfortable on the sofa, fired up the Laptop and started what would be to date my favourite ever FM save. I don’t say that lightly either, in fact, I became so attached to this save, I continued to come back to it long after the release of the 2012 and 2013 versions of the game, by the time I got tired of it (My Laptop giving up the ghost had a lot more to do with that) I had completed 35 Seasons and seen 100’s of Wonderkids arrive, leave and retire. This is the story of a few short years of the save, in which I managed to have a squad of 22 players, all labelled Wonderkids and assembled for a miserly £40m. My club of choice for this year, and the next 35, would prove pivotal in my decision to stay so long and necessitate my implementation of the now famed Wenger Ball. 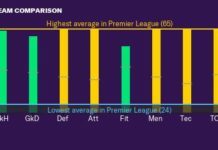 With arguably the smallest budget in The Premier League, Bolton Wanderers had established themselves as the team players went to in the twilight of their careers. It worked for a time too, raiding the over 30’s bin full of World Cup winners and Champions League Legends, Bolton secured a mid-table berth without ever really threatening the top 8 most years. What is Wenger Ball? Well, in short, it’s a term that’s been thrown around a lot lately with the retirement of one Arsene announced recently, it’s a synonym for his style of management, essentially buy them young and cheap, teach them how to play the Arsenal way, before selling them for huge profits. So, I set myself the mission of building a whole team of Wonderkids on a budget, in the hope that they would A) Carry the team to great success over the years and B) Fund the organisation’s development and further establish the club as a European Powerhouse. It got off to a really dodgy start. 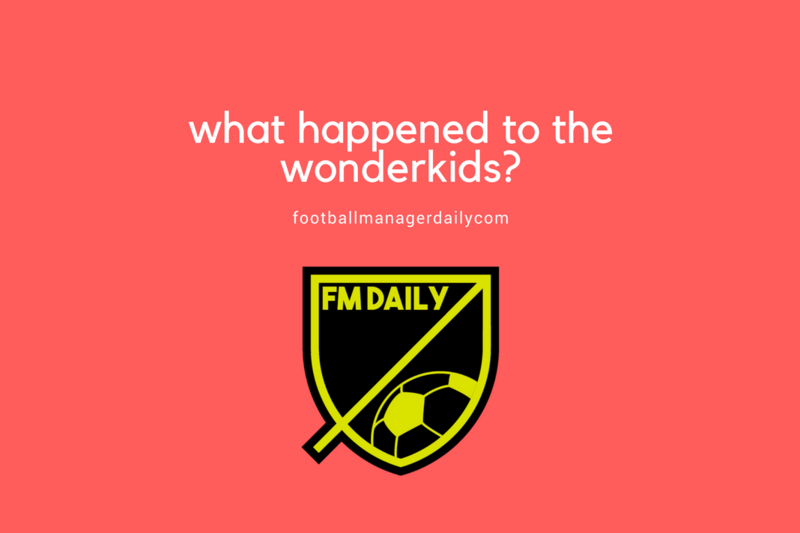 My first port of call in developing my squad of Wonderkids was building a solid foundation that would keep the goals out. Alex Smithies was a young prospect Goalkeeper playing at Huddersfield at the time, he was making all the right noises in real life and so decided that he’d be the man to replace Jussi Jaaskelainen between the sticks. The deal was structured heavily in Huddersfield’s favour with a percentage of profit from nest sale, and additional payments to be made if Smithies was to make 50+ club appearances. The deal would total £600k upfront, with the potential payment of £500k for the 50th appearance. Next on the agenda was a fullback, I had to be selective with who I went for and had to get value for money, so was very happy when my scout in Russia came back with a report on an absolute gem, Sergey Palitsevich from Dinamo Minsk was a versatile 20-year-old Belarusian made from the same stuff as Nemanja Vidic. He was quick too and often, in the years that he’d end up playing for me, you’d see him overlapping wingers and providing a killer ball into the box. He was a steal financially and ticked a lot of boxes, all told I paid Minsk a paltry £200k and Sergey himself would accept a weekly wage of just £3k (for the first two years at least). I was lucky that I already had a top young Left-Back in Marcos Alonso and Gary Cahill was proving to be a top young Centre Back also, so I felt I was another Centre Back away from creating that solid foundation for my first season in charge. I’d blow the budget a little on bringing in Martin Kelly from Liverpool, he was harder to prise away from a team that also prides itself on bringing through its youth players, but a cheque for £3m in cash was enough to seal the deal. I was confident that my purchases had solved a major problem, as well as playing into my overall policy of buying cheap and young and sell for profit, though the latter would prove harder than I first thought, not that I didn’t get offers, but more that I couldn’t see them leave. I was also confident that my side had a well-established and high-quality Midfield in Stuart Holden, Fabrice Muamba, Martin Petrov and Matty Taylor, with a Striker in Johan Elmander capable of scoring a hat full, backed up by Robbie Blake and highly thought of prospect Tom Eaves. With that my business in the summer window was done and I moved forward into my first season with Bolton, to say it was an up and down season would be an understatement. We started poorly as the new back line needed time to both gel and develop their own skills, come Christmas of that season my team were 14th and flirting with relegation. My midfield and strike force were not letting me down, Stuart Holden and Elmander were in fact amongst the leagues top performers, we were just too leaky at the back often drew games we should have won and lost games that perhaps we deserved at least a point from. The January window presented an opportunity the bring in one or two more recruits to help bolster my squad and help them kick on, who I brought in would prove decisive in turning around my season. Lorenzo Crisetig a defensive midfielder from Inter Milan for a bargain £2m, would anchor my midfield to the suffering defensive line, it did mean I had to move on Matty Taylor who would be ousted as a result, but to be honest he was far from a top performer so far this season. Lorenzo was a player that had maturity way beyond his years, he marshalled the midfield and protected the back four, making sure that the goals scored by Holden and Elmander counted for something, we’d taken our punch in the mouth, re-organised and came back a stronger unit. With him in the squad, I’d finish the season with eight straight wins and a 9th place finish, not bad for a squad that now had an average age of 23 years old. The name Abdulla Al Ramen will mean absolutely nothing to nobody that didn’t play this save because he’s made up. However, it didn’t stop him buying Bolton Wanderers in the Summer prior to my second season, I thought I was out on my ear and my adventure with Bolton would be over before it even began. Fortunately for me, I was given a stay of execution, suddenly I became very conscious of the fact that if I were to end up 14th at Christmas again, Sheik Abdulla wouldn’t be so forgiving. He would invest heavily giving me a war chest of £35m to build a squad capable of playing Football at the very highest level and I duly delivered, without deviating from my previous modus operandi. I sent scouts out far and wide, hired a couple more that had very good stats for spotting potential and sent them into every corner of Europe and South America, if the new owner wanted a vibrant team of world-class attackers then that’s what he would get. I supplemented my original budget with the sale of Muamba, Alonso and Holden, I even considered offers for Elmander but felt that any number of Wonderkid strikers I would bring in would need at least 6 months to bed in and that I would need a proven goal scorer to prop the team up, until January anyway. With scouts scouring all corners of the world I had to commit to bringing in Homegrown talent too, players that were born in Britain or at the very least Foreign Nationals that had been with a British club for a few years in their youth. Havard Nordtveit, Dan Gosling, Tom Cairney and Josh McEachran all ticked this box. With a protracted negotiating process aside, I was able to get all four at an incredible £10m, half of what I’d sold Muambe and Holden for. I also snatched up some Homegrown flair in James McCarthy from Wigan, Ravel Morrison from United and Gylfi Sigurdsson from Hoffenheim, who through his time with Reading qualified for Homegrown status. These transactions didn’t break the bank either and I did well to bring them in for less than £9m for all three. With these seven new additions, I was happy that any Homegrown rule for future European forays would be satisfied and I’d set my sights on qualifying for Europa League at least, in my first season with new money. It was transfer deadline day when one of my scouts returned a report that suggested two exceptionally bright talents were hidden in the dark corners of Eastern Europe. BATE Borisov’s Alexey Rudenok and CFR Cluj’s Lamina Traore were teen sensations, scoring goals for fun at domestic level, which I had to be wary of considering the level of the league, but also had put in stellar performances in The Champions League and Europa League Qualifiers. I moved quickly with little time left to bring them in as back up to Elmander, Alexey it would prove was incredibly cheap, I actually felt guilty about how little I could have compensated BATE and so doubled his asking price to £400k, they duly accepted and a brief contract discussion later Rudenok was a Wanderer. Lamina Traore was a slightly different story, CFR Cluj was in the later rounds of Europa League Qualifiers and was not going to let their star man go if they could help it. Eventually, a bid of £2m plus add-ons for appearances and goals would seal the deal, I didn’t know it at the time, but the two new strikers would play a bigger part in my second season in charge than I would have ever anticipated. Join me for Part Two next Thursday, to find out what happens in the first season with new money. 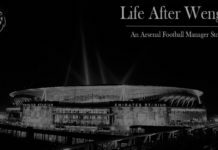 Previous articleFM18 | The Regista Podcast Episode 3: I’m in a Cup Final, help!